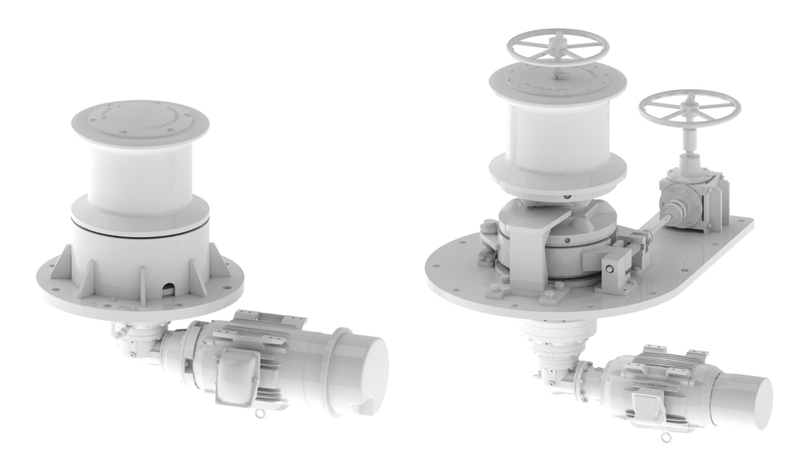 Schoellhorn-Albrecht recently completed a contract to design and manufacture a Vertical Anchor Windlass and Thru Deck Capstan for St. Lawrence Seaways newest Ice Breaking Tug. The windlass was designed to ABS standards for a minimum design temperature of -25F°. Testing and certification was witnessed by ABS in our St. Louis facility. The Thru-Deck Capstan features a Variable Frequency Drive (VFD) control package, a right angle drive gearbox, 20 HP marine duty motor and 18” diameter barrel. Both control packages feature Nema 4 stainless steel enclosures. The deck machinery will be operating on an ice class, Z-drive tug. Its primary purpose will be to provide icebreaking and ice-management services, handle buoys and push buoy and gate lifter barges on the St. Lawrence Seaway.